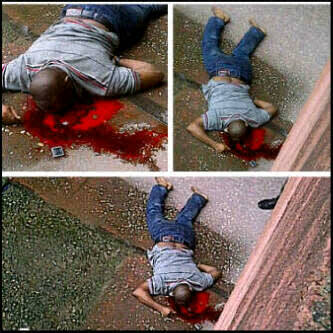 The yet to be identified man reportedly jumped from the 8th floor of the Rivers State Secretariat earlier this morning with the intention of commiting suicide. 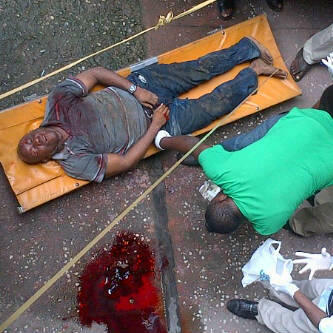 No body could say why he killed himself and his corpse has been deposited at the mortuary. Please click read more for more pictures, viewer's discretion is advised.